John Harter is wearing black because attending his hearing with TransCanada feels like attending his own funeral. We are talking over lunch at a Chinese buffet in Winner, South Dakota, immediately after his hearing with the Canadian tar sands giant that is trying to build the Keystone XL pipeline straight through John’s land. It was a big weekend for those resisting the Keystone XL pipeline. Thousands of people have descended on Washington DC to demand that Obama reject the Keystone XL pipeline. At the same time a spiritual ceremony is being held in which the keeper of the white buffalo calf’s pipe is praying that Keystone not be built. Also at the same time activists from all over the United States are meeting in Red Shirt, Pine Ridge to learn how to put their bodies on the line to effectively stop construction. 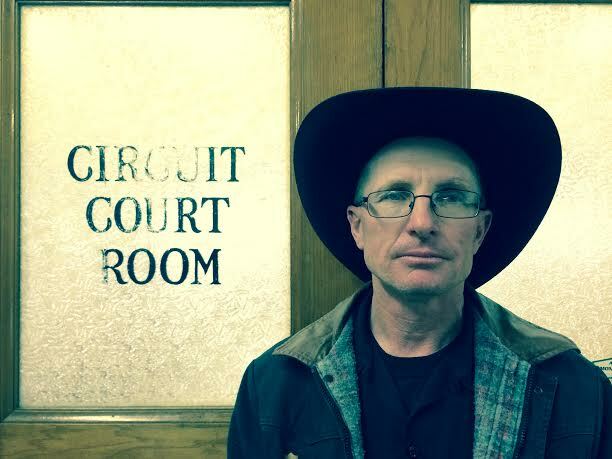 It was also a big weekend for John Harter, a South Dakota rancher who is the last landowner in the state to refuse to sign over his land to TransCanada. About twenty allies showed up to John’s hearing, many from the Lakota Spirit Camp, several from Nebraska, several from Texas’ Tar Sands Blockade group who had heard about the hearing at the Pine Ridge training. The land in question is the plot of land where John grew up, just four miles west of Colome, South Dakota. Years ago, TransCanada approached John and offered him $13,300 to turn over his land and allow the pipeline to go through. But for John the sum was too low. He wouldn’t be able to graze his herd on the land for several years should the pipeline go in, and he wanted to be compensated accordingly. Rather than offer a more fair compensation, TransCanada used eminent domain to wrest the land from the Harter family. It is now up to a judge to decide how much they will be compensated. When TransCanada originally presented the proposal to landowners, they had said the pipeline would be extremely safe, and that the walls of the pipeline would be 3/4 inch thick. Now they are making the pipeline thinner. TransCanada also changed the route through John’s property without consulting him. Many are concerned about the risks of building the pipeline over the Ogllala aquifer, one of the world’s largest aquifers, which lies just below the Great Plains. Public Citizen recently put out a report indicating that the Texas stretch of Keystone XL was built with dozens of possible anomalies. John was representing himself at the hearing because his lawyer has taken a job in Washington D.C. for the U.S. Department of Energy.